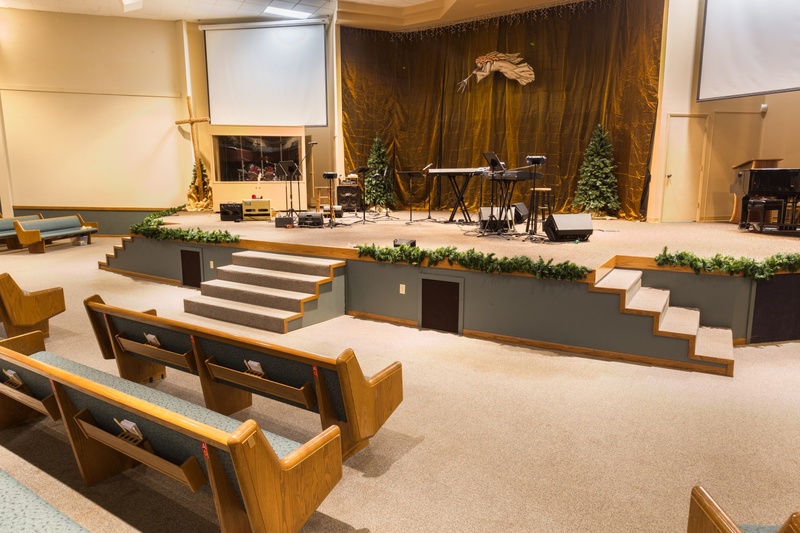 At one time, Lake City Church and Mad City Church were two of the largest evangelical churches in the Madison area. For various reasons, parishioners decreased somewhat from the churches’ “heydays,” and in 2010, the two took the rare step of uniting to form City Church. The new region-wide church retained staff from both founding organizations and consolidated ministries at Lake City Church’s sanctuary on East Buckeye Road. But the space needed updating to reflect the new union and address maintenance and utilization limitations. NCI-Roberts had earned the congregation’s trust, earlier completing work for Lake City Church’s Abundant Life Christian School and Campus for Kids Learning Center. Today, the increased and updated space shared by the three organizations on its 31-acre parcel is enabling successful ministry throughout the region. "We have used Robin Roberts and his team to construct three additions to our K-12 school, a new three-story childcare facility, and two major remodels to our church building. With all of our projects, Robin has been exceptional, and a pleasure to work with, from design to cost management and scheduling, and beyond the scope of the project with any call-backs we’ve had. We would certainly consider them for any future projects."